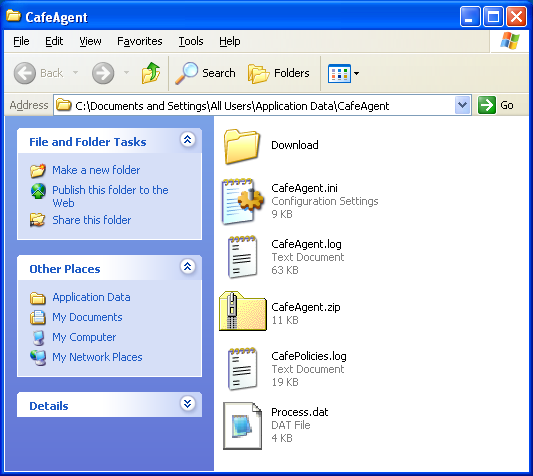 CafeSuite Knowledge Base - How to report problem with CafeAgent? Usually reported problems are configuration and system specific. Therefore you should send us as much information as possible when something doesn't work as desired. 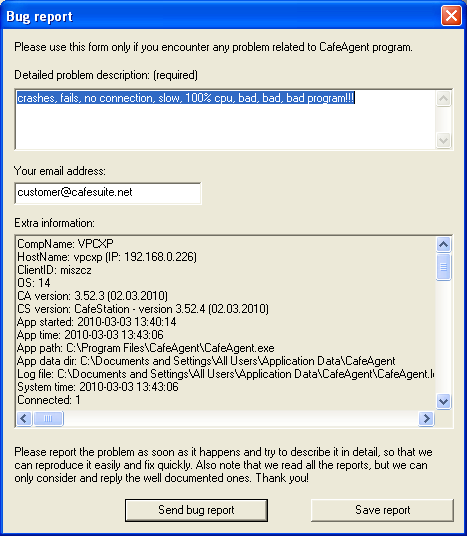 For CafeAgent issues, it is the best to create a bug report directly from the client program on the PC where the problem exists immediately after the problem happens. 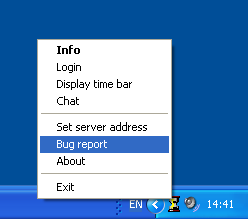 The report contains program configuration, state and detailed log file, which we will use to locate the problem. 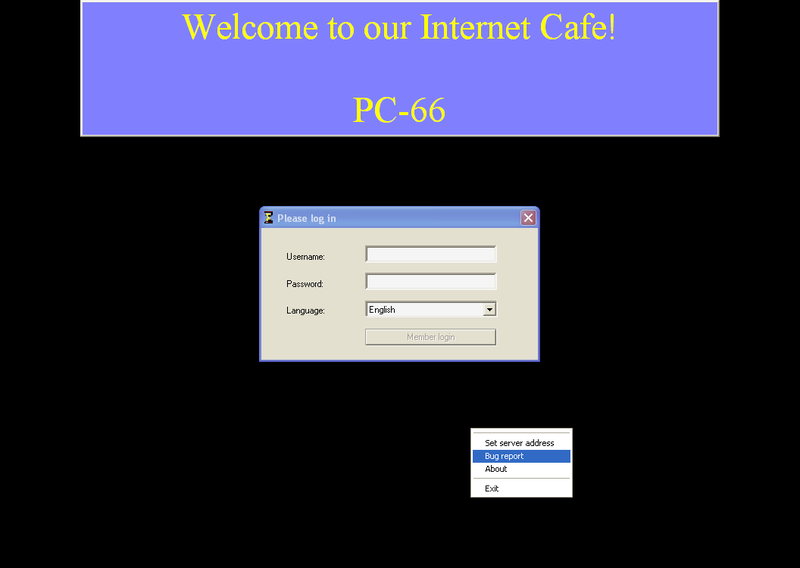 If the problem is caused by a software bug, we will try to fix it in the next CafeSuite release.